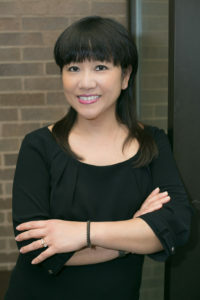 Shirley Fan-Chan, At-Large Member, is the Director of U-Access at the University of Massachusetts Boston since 2012. She oversees the office that offers student services on campus that are in need of non-academic support. The office is one of its kinds among the higher education institution across the Commonwealth. Before Shirley joined the staff at the Division of Student Affairs, she was the Chief Training & Technical Assistance Officer at Horizons for Homeless Children (HHC), a non-profit organization working with homeless young children and their families. At HHC, she oversaw the Training and Technical Assistance Program and raised awareness on special needs of young homeless children across the country. Shirley brings to UMass Boston community a wealth of knowledge related to serving homeless families, including those impacted by domestic violence. Her leadership experience includes serving as Executive Director of Asian Task Force against Domestic Violence, a domestic violence service agency over 6 years in Boston. Her active participation on immigrant issues, women’s issues and children’s issues led her to her appointment as one of the commissioners to the former Governor’s Commission on Domestic and Sexual Violence, and member of the Immigrants and Refugees Committee; and the Advisory Council of Today’s Girls Tomorrow’s Leaders of United Way of Mass. Bay. Currently, she is serving on the advisory council of the Commonwealth Compact, an organization to promote diversity of leadership in the Commonwealth. She has recently joined as an at-large board member of the National Association of Education for Homeless Children and Youth, a national organization advocating for homeless children and youth succeeding in public education. In her role at UMass Boston, she has created a statewide network, MA Homeless Post-Secondary Students Network, to address the issues and barriers homelessness post-secondary students facing in the Commonwealth. Shirley is an alumni of the McCormack Graduate School of Policy and Global Studies at UMass Boston with a master degree in Public Affairs. She completed her undergraduate degree in Human Services at Lasell College. She is recently appointed as the Board of Overseers at her alma mater Lasell College.